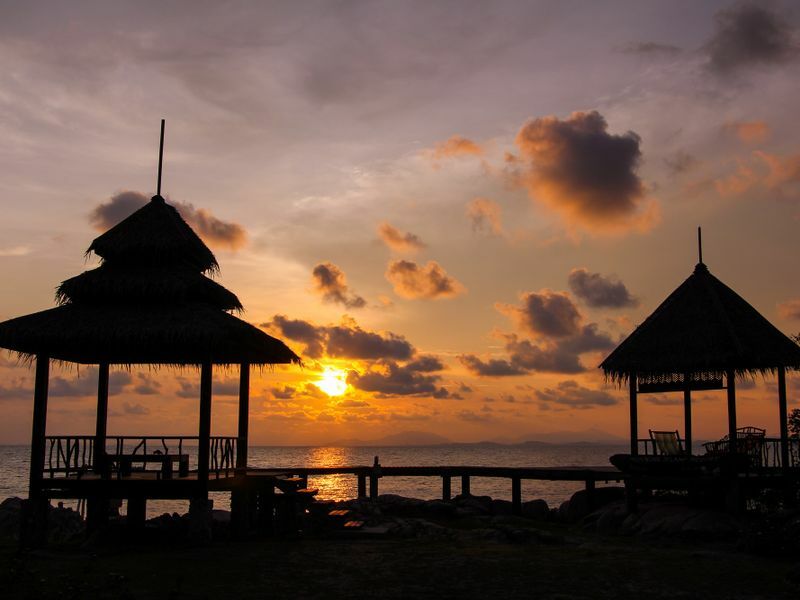 Popular among locals longing for a paradise island near Bangkok, Rayong has become synonymous almost exclusively with Koh Samet Island. Besides the famous paradise island itself, this eastern seaside city has a lot to offer both naturally and culturally. 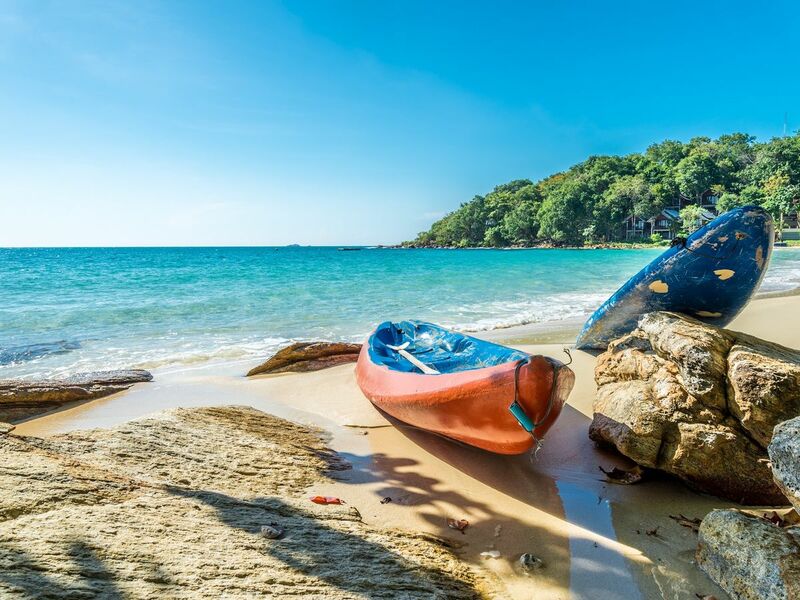 While enjoying the aquamarine sea, pristine sandy beaches and yummy seafood, definitely spare a few days for inland attractions other than Koh Samet. To provide you more alternatives, here's a list of the top 7 places to visit in Rayong for you to check out. 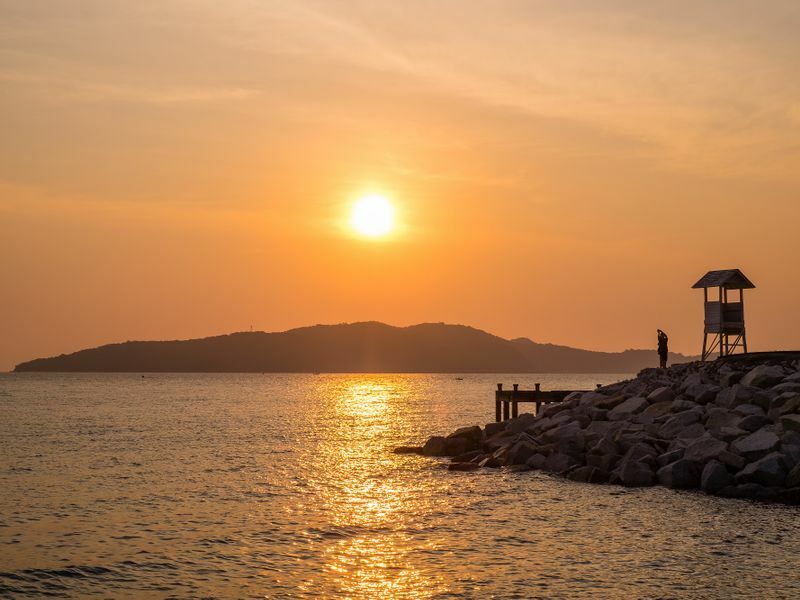 Just about a couple of hours’ drive from Bangkok and another 40 minutes’ ferry ride from the mainland, Koh Samet is truly a paradise within reach and a great place to start your trip in Rayong. It has always been a favorite getaway among Thai locals and tourists alike, so it's therefore quite developed. You can expect some party scenes, especially in Sai Kaew Beach and Ao Phai (Phai Bay) areas. However, the island remains well-preserved for a well-known party destinations. Furthermore, there are also quiet beaches and bays, such as Ao Wai and Ao Pakarang that you can appreciate. Part of Khao Laem Ya-Mu Koh Samet National Park, Khao Laem Ya is definitely the most stunning viewpoint in all of Rayong. From there, you can see the eastern city’s vast blue sea and even Koh Samet. Apart from the view, the hill itself is magnificent with plenty of great photo opportunities. Khao Laem Ya is both rocky and grassy, so you can even camp there if you'd like. If you’re going to Koh Samet, we recommend you to start from Ban Phe Pier. After leaving the island, don’t forget to shop for fresh local seafood or seafood snacks at Ban Phe Market. 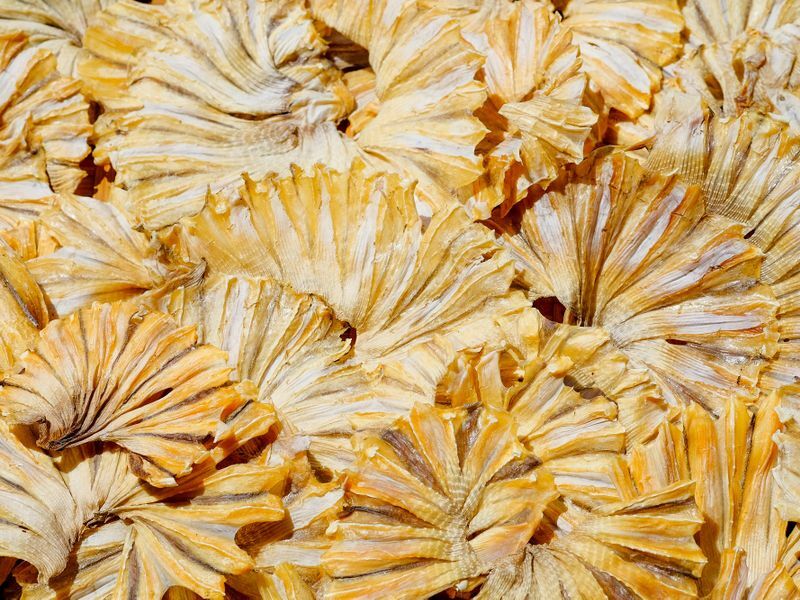 From dried squid to shrimp paste, why not take home with you the taste of Rayong? Part of the Man islands, which host Koh Mannork, Manklang and Mannai. 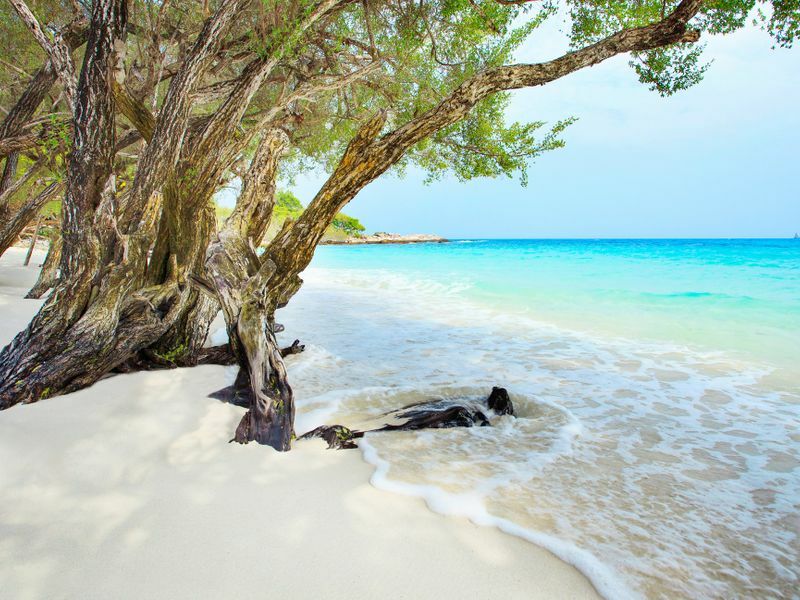 The three islands are all beautiful, but Koh Mannork is the biggest and the best of them all. The Thai Navy owns the island, which makes it all the more private. Come enjoy stunning natural scenery in peace and quiet and meet peacocks, the island's adorable residents. Back when boats were the most important means of transportation, Phra Chedi Klang Nam signified the arrival at Rayong. 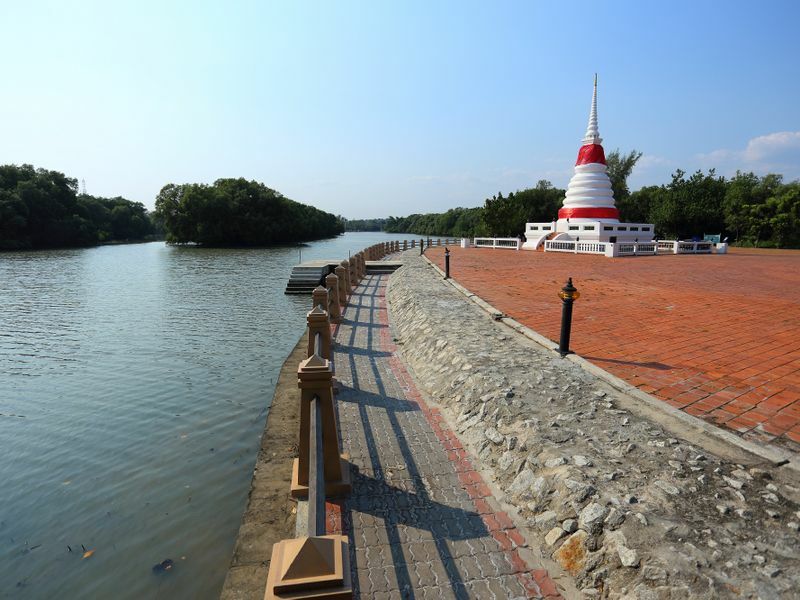 Part of Wat Pak Nam, the white pagoda was built on an isle in the river and it’s one of the city’s most sacred site. Nowadays, you can easily cross the road that connects the mainland to the pagoda. 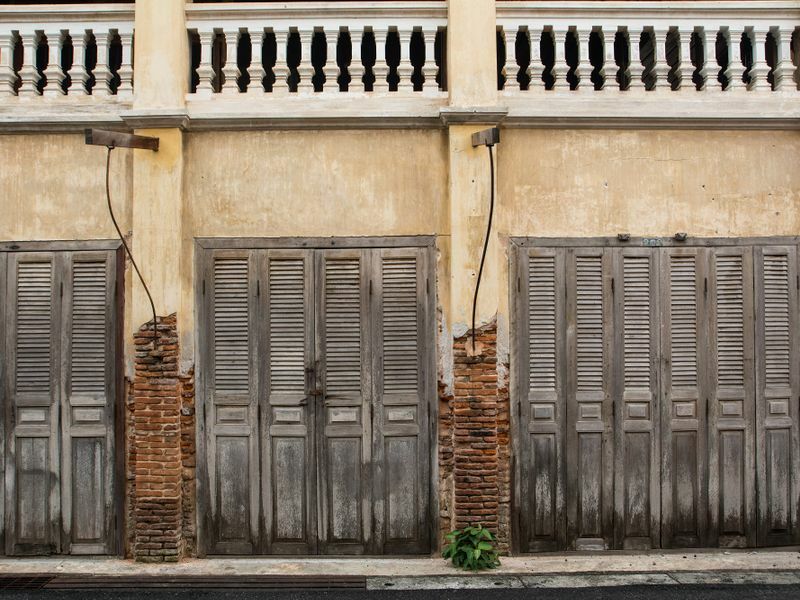 The most important and most beautiful road in Rayong's old town, Yomjinda Road is a strip of alluring century-old houses. Some of them are renovated into local museums, art galleries and quaint cafés. The art includes photography by famous Thai photographer, Niwat Pao-in, hosted at DaVinci Studio. You’ll also find his retro collections and works by his artist friends. Thailand has loads of verdant mangrove forests, but none like the golden Thung Prong Thong in Prasae. A wooden walkway cuts through the vast yellow-green field which turns gold during sunrise. 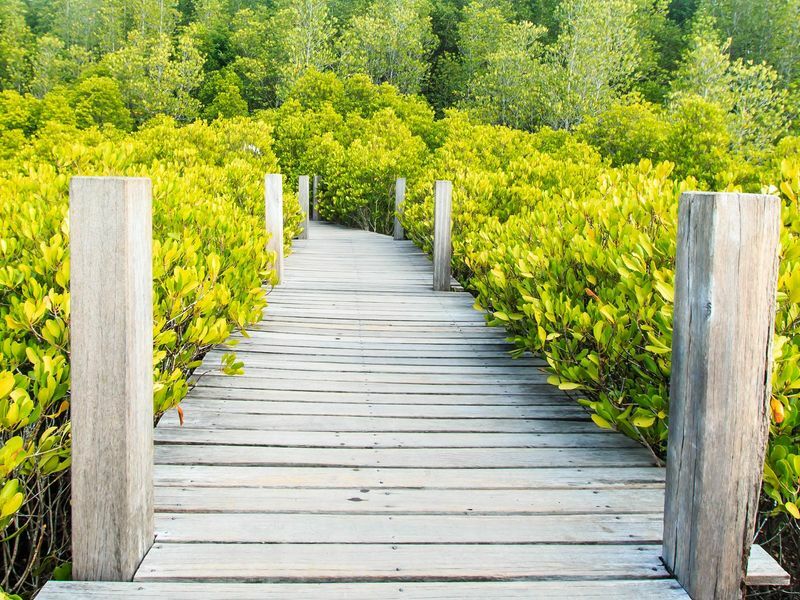 Before you reach Thung Prong Thong, you’ll have to walk through the classic green mangrove forest, highlighting the different kinds of beauty in store for you. Forests aside, Prasae is where you can enjoy your homestay. More than fresh seafood, you can get a taste of the life of local fishermen in the area. Not exactly what you're looking for? Check out our selection of private 1-day tours in cities near Bangkok, Pattaya, and nearby.